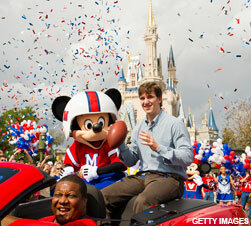 The two-time Super Bowl MVP Eli Manning is no stranger to the bright lights. Coming off a spectacular performance and victory in Super Bowl XLVI, Manning continued to increase his endorsement value in the off-season and decided to add a little fun to his busy schedule. Manning has accepted the offer to grace the stage on May 5, 2012 to host a special appearance on NBC’s Saturday Night Live, after a busy off-season of speaking engagements. 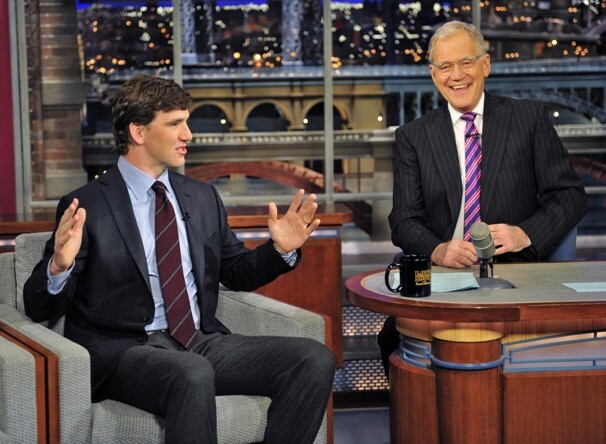 In typical Quarterback fashion, Eli Manning asked the network for a game plan before agreeing to become the latest sports celebrity to do the show. To the surprise of Manning, he did not find any fourth quarter comeback plays that required him to go 90 yards in under 2 minutes, but what he did find one of the funniest scripts he has ever read. 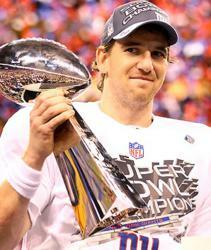 His May 5 appearance will be one of many appearances he has made since winning Super Bowl XLVI. Fans at home were able to watch him live on “Late Show with David Letterman” where he let viewers at home know, "When you win a championship, it’s a team. It’s a team coming together, and that’s exactly what we did, and so I was happy for a lot of the guys. This is their first Super Bowl, so I think when you have one, that second one, you really do it for the other guys who’ve never had that experience. The first one just is wild." Manning will be in the hunt for his third championship and will be making the Giants facility his Disney World as he will be spending endless hours preparing for the joyous ride with his young offensive weapons like Victor Cruz, Ahmad Bradshaw and Hakeem Nicks. Ryan Totka and his team at AthletePromotions have assisted corporations in booking New York Giants players for speaking engagements, corporate appearances, autograph signings and VIP Meet & Greets.